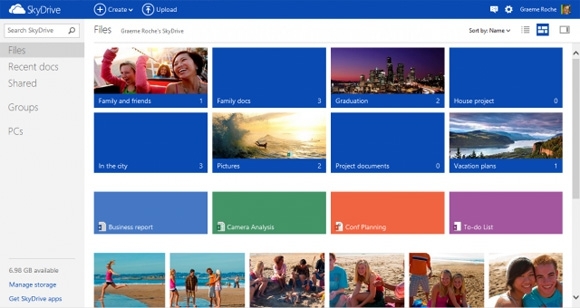 Microsoft recently released a SkyDrive app for Android and it's excellent! I've started coping my family photos out to my SkyDrive and now that I can access them easily from my phone it makes my SkyDrive much more than just a free backup! If you use SkyDrive and Android check it out. If you don't use SkyDrive but are looking for a great way to back up your photos for free now may be a good time. Well, it's not as good as when you could get 25GB for free but 7GB for free is still better than most other options and the Android app is pretty slick!